Extreme poverty has been halved and people have never been richer, healthier or better educated. More than 600 million people have been brought out of poverty in China alone. But average global improvement is of little help for the over one billion people still living in extreme poverty. The world will come together this year at the UN to agree on the complete eradication of extreme poverty by 2030 and a new set of sustainable development goals. For the first time in human history, we have the knowledge and resources to eradicate poverty while preserving the planet. Most important is policies. We must learn from success and do more of what works. Child mortality has been reduced by two thirds in Ethiopia and that alone has saved more lives per year than the number of people dying in all global wars combined. Schoolchildren in Vietnam are now doing better at school than children in much richer OCD countries. Korea has gone from one of the poorest countries in the world to one of the richest in a few generations. Young Koreans are 390 times richer than their grandparents were! Lithuania has successfully transitioned into a democratic market economy and is now one of the fastest growing economies in Europe. There are so many stories of successful development. We must replicate these successes on a global scale. Money is also important. Global aid remains stable at record high levels and reached $135 billion last year. Development aid has increased by 66% since 2000. And new donors are adding to this. China is now a major provider of aid. India, Indonesia and Brazil are giving as well as receiving aid. The United Arab Emirates is the most generous country in the world, giving 1.17% of national income to development assistance. Turkey is above the OECD average, hugely generous to Syrian refugees and increased spending by 8% last year. 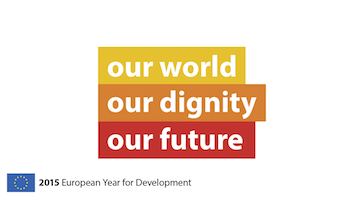 Hungary and Estonia increased development aid more than anyone at 25% and 19% last year. We need more and better aid! But we also need to use aid to mobilize the two biggest sources of development finance in the world: Private investments and tax! 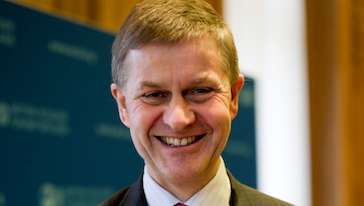 Come and learn more when Erik Solheim, Chair of the OECD Development Assistance Committee, an alliance of the world’s main donors, talk about development aid in a new world. When: 13th May 2015 at 5:00pm EEST / 4:00pm CET (check time around the world). 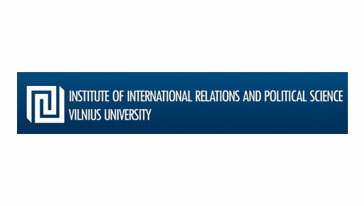 Where: International Relations and Political Science, Vilnius University, Vokieciu st. 10, Vilnius.